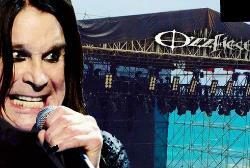 Odd Ozzy album in the works? The head of Epic Records tells Billboard that the new album Ozzy Osbourne is working on is, '...something Ozzy has never done before that he's always wanted to do', a statement that is sure to fire-up some interesting speculation. A-ca-pella, orchestral, foreign language, folk, polka... with Ozzy, ya never know. Sylvia Rhone assures that '...it's going to be amazing.' The remarks by Rhone followed Epic Fest, a publicity drawing rally staged by Epic on the Sony Pictures lot in Los Angeles that Osbourne made an appearance at.